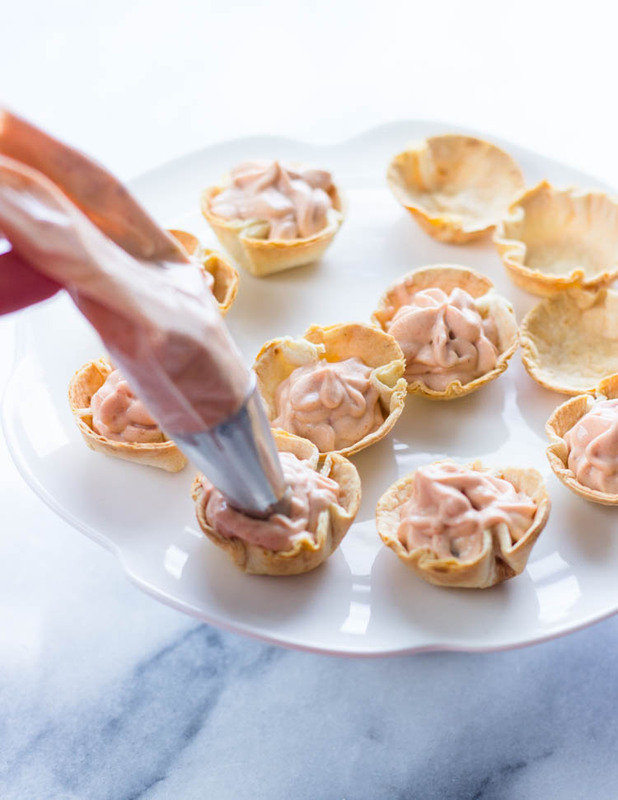 How adorable are these tiny bites? If you love taco dip but hate the added calories then this recipe is for you! 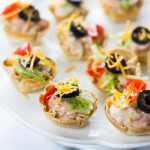 Now you can enjoy these delicious taco dip bites guilt free because they are less than 35 calories per bite! I made a batch of these for a friend and did not mention they are “skinny” and she LOVED them! then when I told her they were low-fat she couldn’t believe it. Yay! a new skinny and delicious snack. 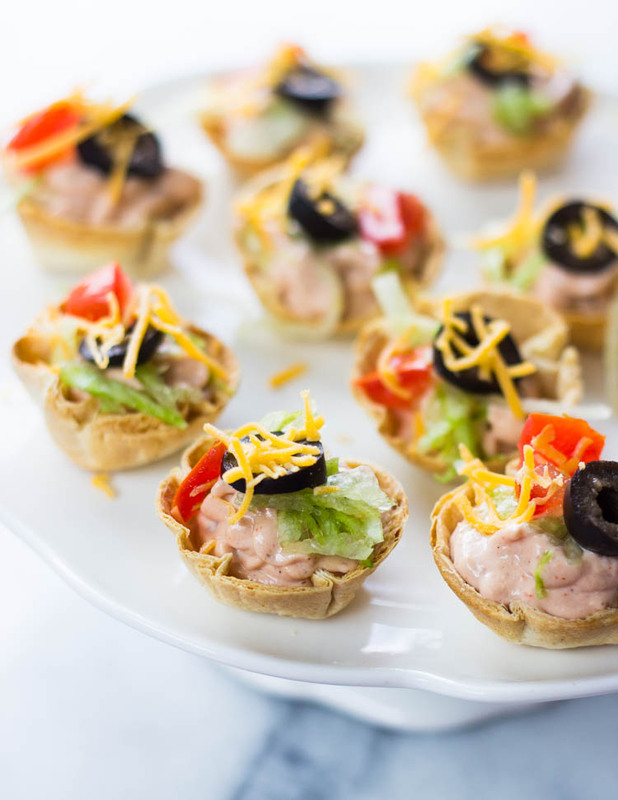 With a cookie cutter or a 1/3 cup size measuring cup, cut 4-6 small circles out of each tortilla. Press each circle into a mini muffin cup (this can also be done in regular size muffin cups). Bake for 10-12 minutes or until golden and crispy. Remove from oven and set aside until ready to serve. While the tortillas are baking or cooling, In the bowl of an electric mixer fitted with the paddle attachment, beat cream cheese, salsa, sour cream and taco seasoning on medium-high until well combined and lump free, about 1-2 minutes. Pipe or fill with a spoon about 1 tablespoon mixture into each tortilla cup. Top with lettuce, tomatoes, olive, cheese, or whatever your heart desires!! Serve immediately.